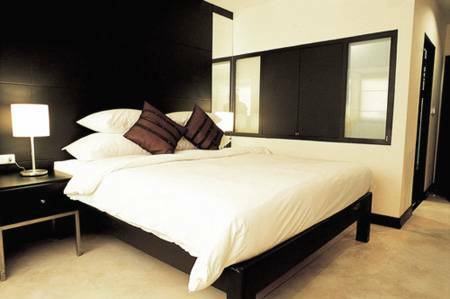 Acclaimed as a uniquely designed hotels in Koh Samui. With 46 uniquely decorated guestrooms and suites, including 10-Studio, 30 deluxe, 4-Junior suites and 2-Executive/Family suite, we offer all the comforts of home with modern amenities for both business and leisure travelers such as FREE WiFi and DVD Movies in room. 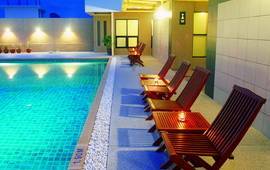 Rooftop privacy outdoor swimming pool with Panoramic Natural Scenary and Pool Game also are available. Explore our dining experience from our dining outlets, The Lobby Restaurant - with Thai and International cuisine simply unwind and relax at our Liquid Corner for a chilled-out night or an intimate rendezvous. As our value guests, we provide you with an all-new approach to service, right from the time you make your booking. Our attention to detail as well as the environment conservation concept, your stay with us will not only enjoy the ultimate comforts and friendly, you will also help save electricity and natural surroundings. With the smart concept, we use technology to produce hot water for each of our guestrooms and suites from the heat generated by the air-conditioning. 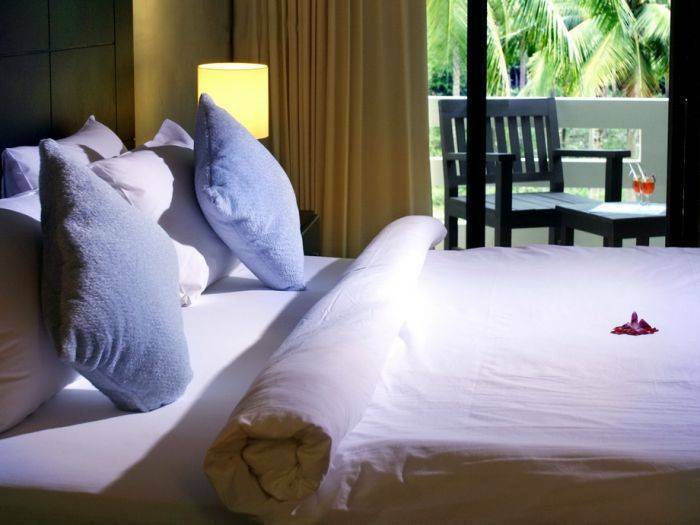 Amarin Samui Hotel is located in the Maenam area, it's famous of peacefulness and relaxing place. Only 15 minutes from the airport, 5 minutes-walk to the beach and local community shops, 20 minutes from Chaweng and 5 minutes to the pier and to the Golf Course (Santiburi). This allows you to relax away from the crowded Chaweng. Maenam is truly the place for those seeking ultimate privacy and unspoiled nature. Serving Breakfast/lunch/dinner with both Thai and International Cuisines. Opened daily until 11:00 pm. Located in Lobby Area. The bar serves favourite drinks and cocktails as well as some light snacks. Rooftop Panoramic View Area for any events and parties which require the exclusive privacy. Customized by yourself. 1.Cancellations and no show for Low Season (16 Sep’– 31 Oct, 1 Nov-19 Dec /1 May - 14 Jul), can be made at least 7 days prior to guest's arrival date, or penalty of 1 night charge. 2.Cancellations and no show for High Season (15 Jul’– 15 Sep, 11 Jan - 30 Apr), can be made at least 14 days prior to guest's arrival date, or penalty of 1 night charge. 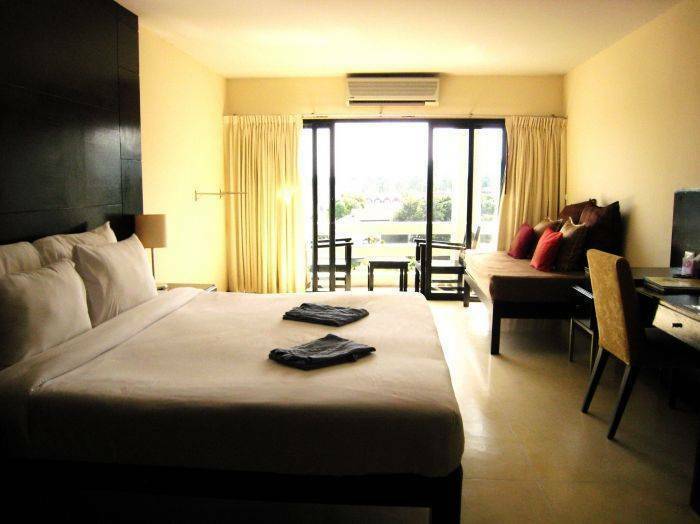 The hotel is located in the Maenam area, it's famous of peacefulness and relaxing place. Only 15 minutes from the airport, 5 minutes-walk to the beach and local community shops, 20 minutes from Chaweng and 5 minutes to the pier and only 5 minutes to the Golf Course (Santiburi). Direct flight daily from Hong Kong, Singapore and Bangkok by Bangkok Airways. Thailand's Domestic Flights from Bangkok to Suratthani Province by Air Asia, Nok Air, then take Ferry to Koh Samui.